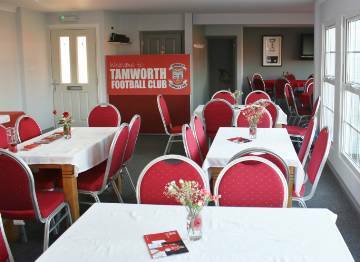 This brings together Tamworth supporters from the local business community. As well as organising exclusive social events throughout the season, the VIP Club includes a sponsorship package and access to hospitality facilities. A great chance to raise your company's profile and enjoy yourself. Use of the Sponsors' Lounge year round for business meetings (via prior arrangement). Description: Heating, ventilation & air conditioning specialist company conveniently located in the Midlands giving quick and easy access throughout the UK. Services: Design and Installation With this element of our business we are with you and your team from the initial brief through the passage of design, installation commissioning and future care. Description: Bradley Scott has been installing PVCu windows, doors and conservatories in and around the Tamworth area since 1999. Services: Recently we have been selected to join the prestigious Swish Authorised Installer Network. Description: A local mobile DJ with years of experience working in and around the town as a resident or mobile DJ hosting many events. Description: Welcome to Classic Roofing, where we believe we exceed your expectations. Services: Industrial/Commercial Roofing Covering a wide range of design and product specification, we undertake all aspects of the work, from top to bottom of the building. Description: Suppliers of quality fencing, including concrete posts, gravel boards, wainey & feather edge timber panels, gates and trellis. Description: Provider of all MOT, servicing, tyres and mechanic work. Services: MOTs and Servicing Offering thorough MOTs, our staff provide helpful advice and guidance whenever you need it. Description: Dowbridge Distributors are based in Atherstone, Warwickshire, and offer a wide range of wines, spirits, beers, ales and ciders along with speciality beers/ales brewed by their own exclusive brewery called The Merry Miner Brewery. Description: Welcome to EUROSDB LTD! We're a TAMWORTH haulage company with an enthusiastic, wholly professional team who are looking forward to taking care of all your haulage requirements our mission aim is to 'exceed our customers expectation' in all aspects of logistic services, management, communication and proactive business partnership. Services: EUROSDB LTD aims not only to serve our customers with commitment and professionalism but also to conduct our business so that we always come up to the standards that our customers have come to expect of us. Description: Footsteps Treatment Clinic is a Podiatry (chiropody) Clinic and Sports Injury and Therapy Clinic. Services: Podiatry (Chiropody) Clinic, Sports Injury and Therapy, Verrucae Microwave Treatment, Orthotic fitting. Description: Gas central heating is a clean efficient way to heat your home. Description: We currently run 14 vehicles ranging from 28 to 44-tonnes, employing 18 full-time and three part-time drivers. Services: Halso are family owned and run and have been supplying domestic customers with fuel and lubricants since 1967. 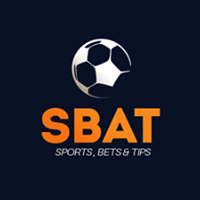 Description: HiB is a major supplier to UK and overseas Bathroom Retailers with many years of experience of bringing to its customers products that have established us as innovative market leaders. Description: A precision engineering company established in 1978 based on the Amington Industrial Estate in Tamworth. Services: We can provide services for all engineering needs including, but not limited to, precision engineering, fabrication, welding, presswork and any general engineering requirements. Description: PH Flexible Packaging are manufacturers and suppliers of a wide range of packaging products. Description: When it comes to choosing a firm of chartered accountants and business advisers, itÃ¢â‚¬â„¢s important to be able to rely on the professionalism and experience of the people you will be dealing with. Services: Knowledge and skills are given high priority by Philip Barnes & Co. Description: PMP Recruitment provide the agility of a flexible workforce which allows companies to adapt to fluctuating business demands. Services: As a privately-owned staffing company with more than 20 years in the industry, we know what it means and what it takes to be a dedicated partner. Description: We are a local kitchen refurbishment company that has been operating for over 10years giving kitchens a new lease of life by just replacing worktops/doors/sinks and appliances at a fraction of the price of replacing the whole kitchen. 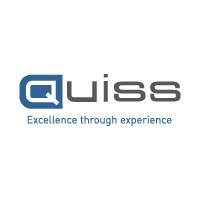 Description: Quiss Technology is many different things to many different organisations, but has been delivering IT support services since we were founded in 1988; the early years of the information technology revolution and the same year Microsoft released Windows 2. Services: Support Services, Cloud and Hosting Services, Recovery Services, Training Services, Consultancy Services, Audio-visual Services, Converged Telephony, Procurement Services, Cyber Security, Sharepoint. Description: Ski & Snowboard The Ultimate Snow, Ice & Leisure Experience… The SnowDome is the UK’s premier real snow centre and the leading choice for skiers and snowboarders.